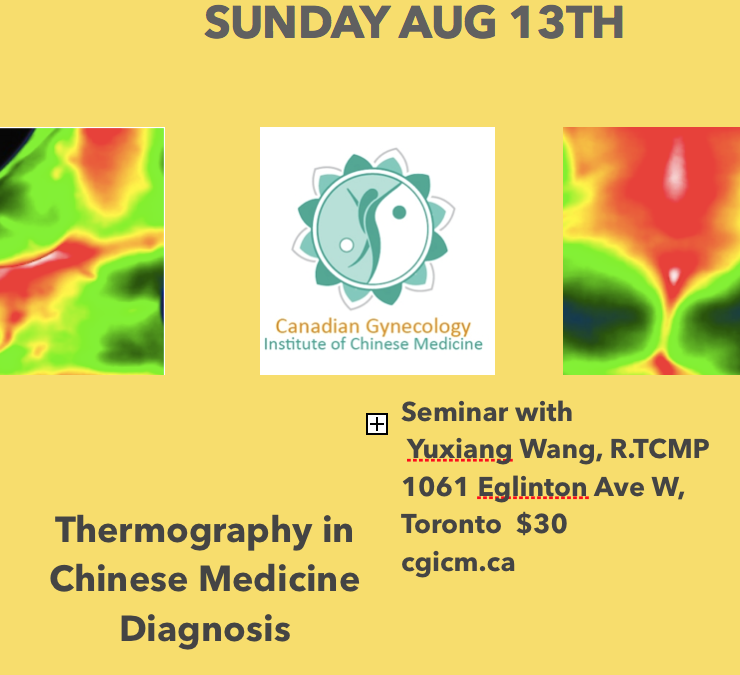 We look forward to Yuxiang Wang, R.TCMP’s presentation on the use of Thermography in Chinese Medicine Diagnosis. Yuxiang has been studying the application of thermography in Chinese Medicine Diagnosis for the last year. Her studies have taken her to the United States and China where she was able to purchase thermography equipment which included both Chinese medicine software and Western medicine software from a manufacturer in China. Thermography, the study of heat distribution in structures or regions using infra-red technology, has been used more widely in Western Medicine than Chinese Medicine. Yuxiang Wang sees great advantages and opportunities for its use in Chinese Medicine diagnosis. She writes, “The study of the relationship of body temperature distribution and disease has had long history in Chinese Medicine. The Yellow Emperor’s Classic discusses abnormal temperature distribution with diseases. A second example of thermography in Chinese Medicine is found in The Shan Han Lun, written by Zhang Zhong Jing. Infrared thermal imaging has been used in medicine since the early 1960s. With technological development of infrared cameras, these images offer very detailed information about body temperature distribution for medical diagnostics. For the last 30 years, thermography has been widely used in many fields of medical practice; however, due to lack of knowledge of thermal physiology and the relationship between temperature and diseases, there are many topics waiting for us to explore.